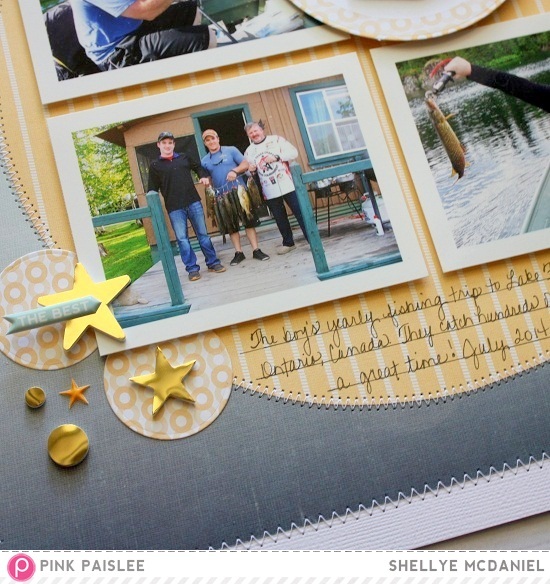 scrapbook-page-worthy photos that they captured! Maui Patterned Paper caught my eye and reminded me of water as it gets deeper. 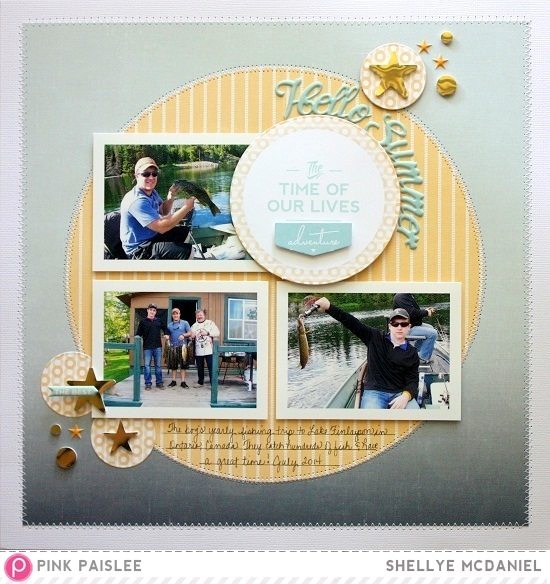 “The time of our lives”, and used a 3.5″ circle die to cut it out. 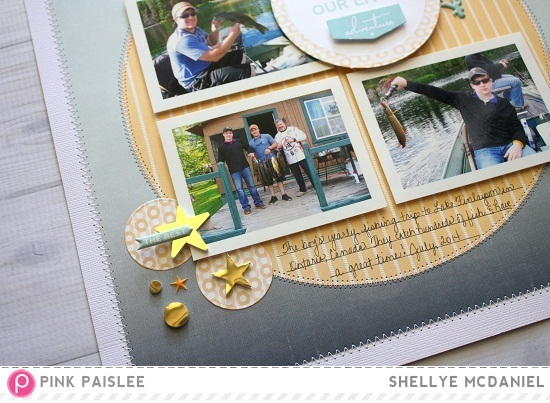 I used the remainder of the journal card pattern to cut out smaller 1.5″ circles. it around the contour of the round journal card. 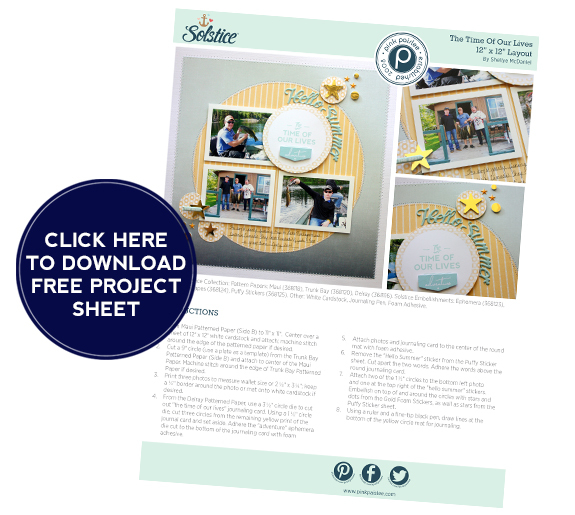 To download the complete step by step instruction sheet, click the image below! Such a classy page about fishing - gotta love that. Fabulous page Shellye! How awesome your men actually took some photos for you to scrap! And love this collection! Just ordered it!